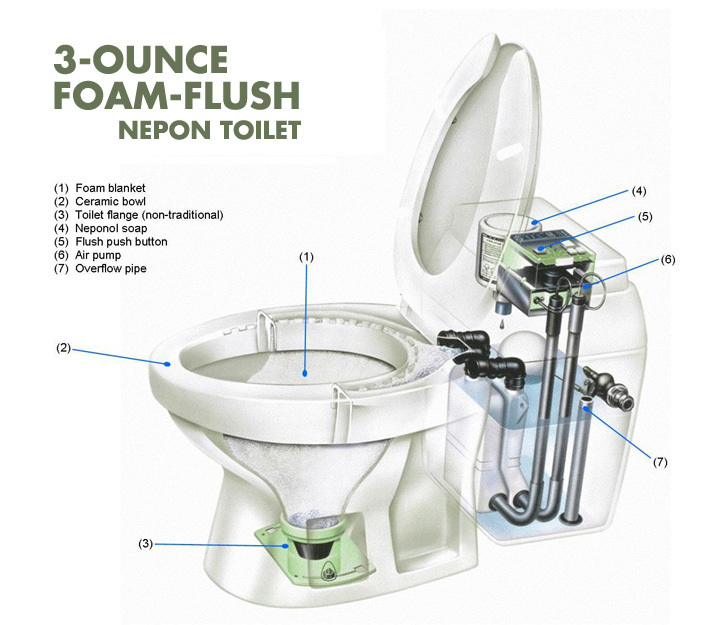 The Nepon 3-ounce Foam-Flush Toilet is offered exclusively by Clivus New England and offers the highest water efficiency for your project. Our site-specific waste treatment systems drastically reduce your wastewater flows saving you money and providing more options for reuse. 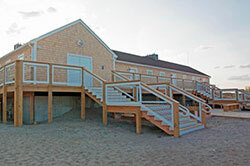 Clivus systems protect and conserve water and soil. Conventional on-site waste treatment systems misuse water and create pollution. 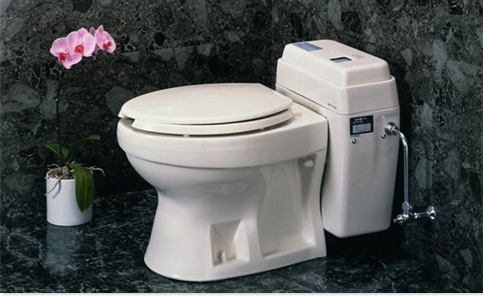 Composting systems reduce water used for flushing by over 97%, compared with 1.6 gallons per flush toilets. They turn waste into stable dry and liquid end-products useful as fertilizer. Greywater systems reuse wash water on site for plant irrigation. Thus, in new construction the combination of composting and greywater systems eliminates the need for expensive, invasive, and polluting infrastructure. In the United States, 4.8 billion gallons of water are used annually to carry waste to either septic systems or sewage treatment plants. This waste water contains, in addition to human excreta, toxic substances dumped by industry which are then discharged into water and soil. Both the waste and the toxic substances profoundly damage eco-systems and threaten human health.